Both of the images were created in Illustrator. 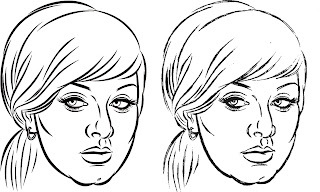 For the image on the left I imported my pencil sketch and then traced it using the Pen Tool. I threw away my sketch when I gad finished tracing. It's slow but very accurate. 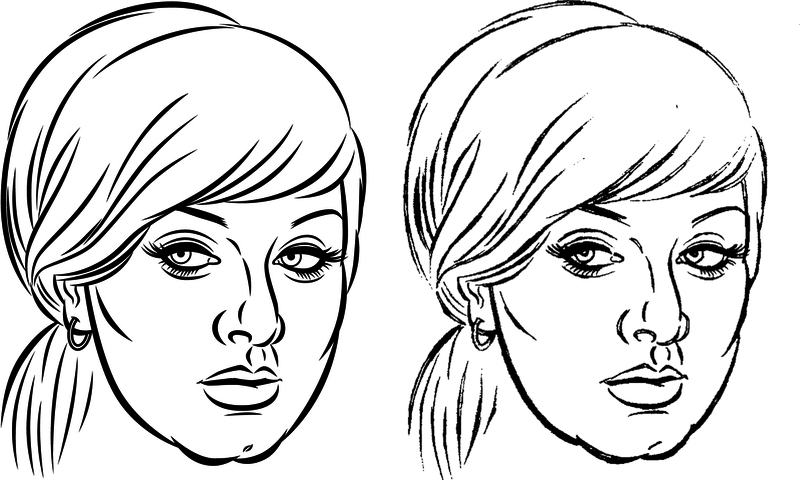 For the image on the right I imported my sketch into Illustrator and Live Traced it. That means that the computer created the line work for me. It's faster, but not as accurate.